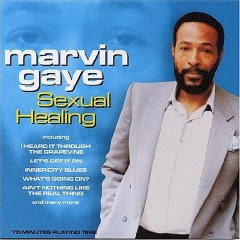 Sexual Healing recorded live in Indianapolis (1996) inclui alguns dos maiores êxitos do quase-homem, quase-mito Marvin Gaye: I heard it through the grapevine, Let's get it on, Inner City Blues, What's going on? ou Ain't nothing like the real thing. Tudo isto acompanhado por um coro devoto e absolutamente histérico.